Continuing to demonstrate strong results against its digital strategy, Eastman Kodak Company now has the market lead in four major United States consumer digital photography segments: digital cameras, snapshot photo printers, retail photo kiosks, and online picture sharing sites. Market research firm IDC, in its full-year 2004 digital still camera study * issued today, reports that Kodak’s digital camera shipments give the company an industry leading 21.9-percent U.S. market share — the first time that Kodak has held this top position. 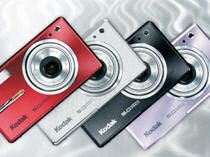 Kodak was also the fastest growing brand among market leaders, with a 66-percent year-over-year increase. 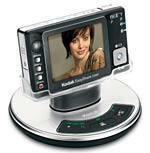 According to the NPD Group, KODAK EASYSHARE printer docks were the best-selling line of snapshot photo printers in the U.S. in 2004**. Kodak has shipped more than 2 million printer docks since their introduction in mid-2003. Approximately 30,000 KODAK Picture Maker kiosks are installed at retail locations across the U.S., making them the most widely used photo kiosks in the country. 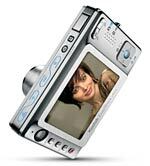 Of these, nearly 50-percent include new wireless capabilities for effortless picture printing from mobile phones. Kodak’s online picture sharing and printing service — Ofoto (to be renamed the KODAK EASYSHARE Gallery come March) — continues to add members at a record pace, with more than 20 million subscribers. Kodak also continues to excel internationally, ending 2004 with number one digital camera market share in Australia, Argentina, Peru, and Chile; and top three share positions in Germany, the United Kingdom, Mexico, and Brazil. 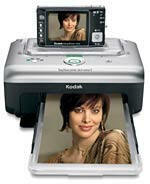 The company holds the top snapshot printer share in the U.K. and Australia. Kodak has an additional 30,000 photo kiosks deployed outside the U.S., solidifying its worldwide leadership in this segment. Kodak’s sales accomplishments have been furthered buoyed by global attention surrounding its new EASYSHARE-ONE zoom digital camera, introduced last month at the International Consumer Electronics Show. With the ability to wirelessly e-mail pictures from the camera, as well as the capacity to store and display up to 1,500 pictures on its 3-inch touch screen, the KODAK EASYSHARE-ONE camera is turning heads among major retailers, customers, and media around the world. It will be available beginning this summer. Kodak is the leader in helping people take, share, print and view images – for memories, for information, for entertainment. With sales of $13.5 billion in 2004, the company is committed to a digitally oriented growth strategy focused on the following businesses: Health – supplying the medical and dental industries with traditional and digital imaging information products and services, as well healthcare IT solutions and services; Graphic Communications – offering on-demand color and black and white printing, wide-format inkjet printing, high-speed, high-volume continuous inkjet printing, as well as document scanning, archiving and multi-vendor IT services; Digital & Film Imaging Systems – providing consumers, professionals and cinematographers with digital and traditional products and services; and Display & Components – which designs and manufactures state-of-the-art organic light-emitting diode displays as well as other specialty materials, and delivers imaging sensors to original equipment manufacturers.